No one can ever truly be prepared for a truck accident. They can be a traumatizing experience in themselves. And the emotional and physical effects that follow have to be dealt with as well. No one is truly prepared for it. The process of recovery usually begins after the truck accident has been investigated by law enforcement, the injured and those involved in the crash have sought medical help, relevant documents like police reports, insurance papers and other evidences have been collected and the party at fault is determined. These are just the immediate tasks at hand and the effects of truck accident injuries have to be dealt with on their own. The injuries can last over the long term, which is why compensation for these types of injuries involves considering future expenses and the suffering which someone may have to endure as a result. Some of the effects that one may feel after a truck accident include pain in the stomach area. This stomach pain shouldn’t be ignored after the collision because it may mean that you have sustained internal injuries and might have internal bleeding. Emergency treatment can be required after an accident if you are suffering stomach pain as it means soft tissue injuries. The pain from these injuries may last from a few hours to even a few days. Dizziness and light-headedness after a truck accident and bruises in the abdominal area means that you need medical attention immediately after the accident. · Disk injuries such as herniated disks. There may even be physical injuries that are visible immediately after your accident. In worst cases, these may even cause paralysis or even amputations of limbs. These are long term effects that may involve permanent disabilities and debilitating injuries. Brain injuries can hamper mental capacity and soft tissue injuries can also be long term in nature, such as tissue around tendons, ligaments and muscles being damaged. This is why it is so important to evaluate the extent of physical damage and the possibilities of future pain, by professionals, after a car accident. It’s not just physical harm that can arise from a truck accident, but emotional harm as well. Symptoms showing PTSD, depression, anxiety and the development of phobias may also come up in people who were involved in a car accident. You may have emotional distress, sleep deprivation and quality suffering, sudden crying outbursts, humiliation, fear, shock and even embarrassment following your car crash. You can gain from having a personal injury lawyer by your side to get you the compensation that you deserve for your accident. A personal injury lawyer fights for your case with the insurance companies to get you the compensation you need. 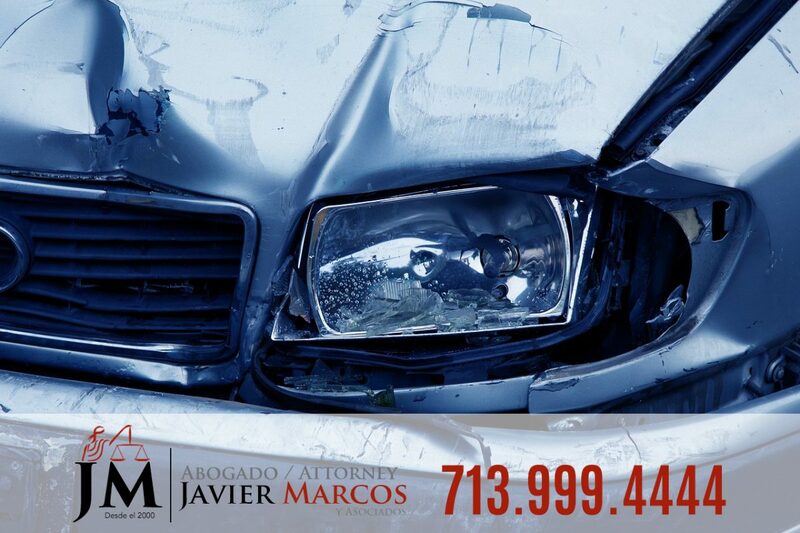 Call Attorney Javier Marcos for help. We are open 24 hrs and the consultation is free. 713.999.4444.